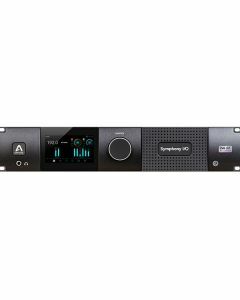 Apogee Symphony I/O Mk II 2×6 Special Edition offers the highest quality AD/DA conversion of the Symphony series. Designed specifically for mastering engineers whose critical work demands ultimate sonic performance, 2×6 SE takes advantage of the latest advancements in digital and analog audio technology to offer inputs with 124 dB (A) of dynamic range, THD+N of -116dB and outputs with 131dB (A) dynamic range and an astonishingly low THD+N of -118dB. The 2x6 Special Edition is available preconfigured for Pro Tools HD.